PRESIDENT Mnangagwa is set to officially open the third Local Government Investment Conference (Logic) 2018 that will be held at the Zimbabwe International Trade Fair Exhibition Centre in Bulawayo this week. The investment conference is being organised by the Urban Councils' Association of Zimbabwe (UCAZ) and is running under the theme "Local Authorities: Ready for Investment". In a statement, UCAZ said the indaba is aimed at creating a marketing platform for urban local authorities as investment destinations and to showcase opportunities and service delivery innovations. "The investment conference is being held at a time when the Government has embraced the 'Zimbabwe is open for business' mantra and local authorities are readying themselves to accommodate the anticipated influx of investors into the country. The key marketing points for Logic 2018 are the performance improvement plans that are developed as part of the Service Level Benchmarking (SLB) process. "The SLB is a programme which was developed to assess the performance of local authorities in the Water, Sanitation and Hygiene (WASH) sectors. This year two non-WASH indicators were added and these are Roads and Public Safety and Corporate Governance. The recent cholera outbreak brings to the fore the issue that investment in water and sanitation infrastructure has been very low. Over the past 20 years no meaningful investment has been made into this sector hence the focus on water and sanitation infrastructure," reads part of the statement. According to a programme of sessions during the conference, the first day will see a Ministers' roundtable discussion whose focus will be on government policies in support of investment in local authorities. Ministers invited at the discussion will be that of Energy and Power Development, Dr Jorum Gumbo, Minister of Lands, Agriculture, Water, Climate and Rural Resettlement Rtd Chief Air Marshall Perrence Shiri, Minister of Health and Child Care Dr Obadiah Moyo, Minister of Foreign Affairs and International Trade Rtd Lt-Gen Dr Sibusiso Moyo and Minister of Industry, Commerce and Enterprise Development, Nqobizitha Mangaliso Ndlovu. 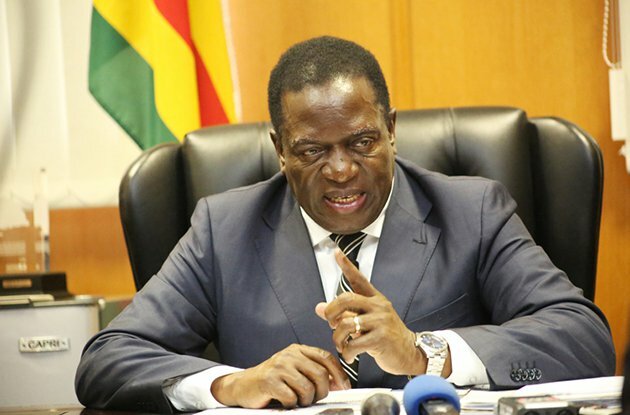 President Mnangagwa will officially open the conference on the following day, on Wednesday, a day which culminates with the Urban Local Authorities' Award Dinner Night. An estimated 500 participants are expected to attend Logic, with local participants set to include mayors, chairpersons of councils, councillors, town clerks and town secretaries, council heads of departments, government ministers and senior government officials, captains of industry and commerce, development partners, civil society, the academia among others. From the region and abroad, representatives of national and international associations of local Government have confirmed attendance, these including Commonwealth Local Government Forum (CLGF) United Kingdom; South African Local Government Association; Institute of Local Government Studies and Centre for Local Government Advocacy from Ghana. The first Logic was held in Victoria Falls in 2016 and last year it was held in Harare. Meanwhile, the Bulawayo City Council has said it is ready to host the annual investment conference. "The City of Kings is indeed open for business. Invest in Bulawayo and enjoy the benefits which come with the Special Economic Zone Status. The new narrative about Bulawayo is; the investment destination of first Choice in Southern Africa," said the local authority's senior public relations officer, Mrs Nesisa Mpofu.